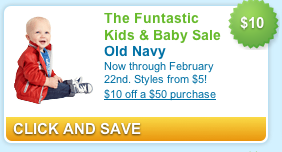 Old Navy is having a Baby Sale with lots of great deals. If you plan to shop in store be sure to grab a $10 Off $50 Old Navy Coupon. You can either print the coupon or send it directly to your phone. The coupon is valid 2/9 – 2/22. When you get to the coupons.com page be sure to click on apparel on the left hand menu to find the coupon quickly. It will look like this. 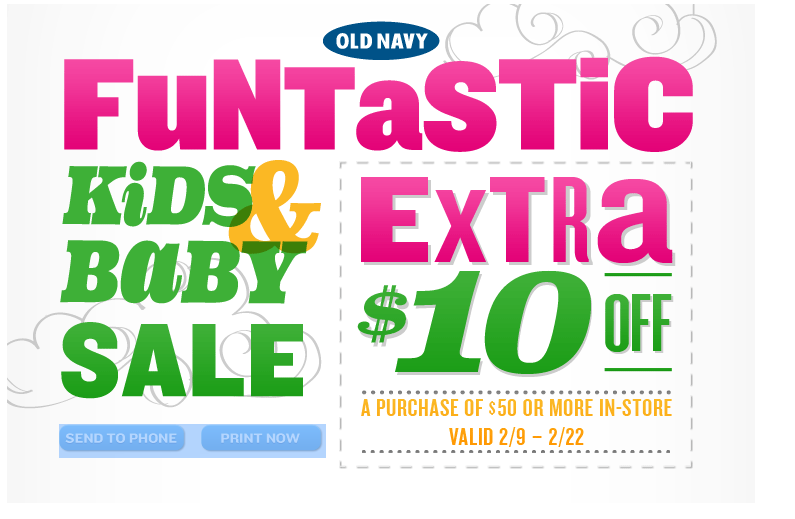 Get Your $10 Off $50 Old Navy Coupon Now!